Oh, lucky me! 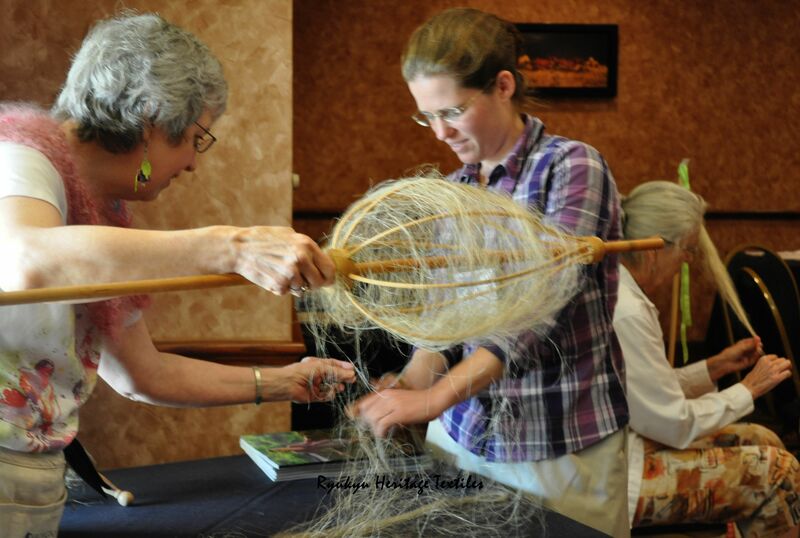 Recently, i attended the Contemporary Handweavers of Texas (CHT) Conference held in College Station, Texas USA. 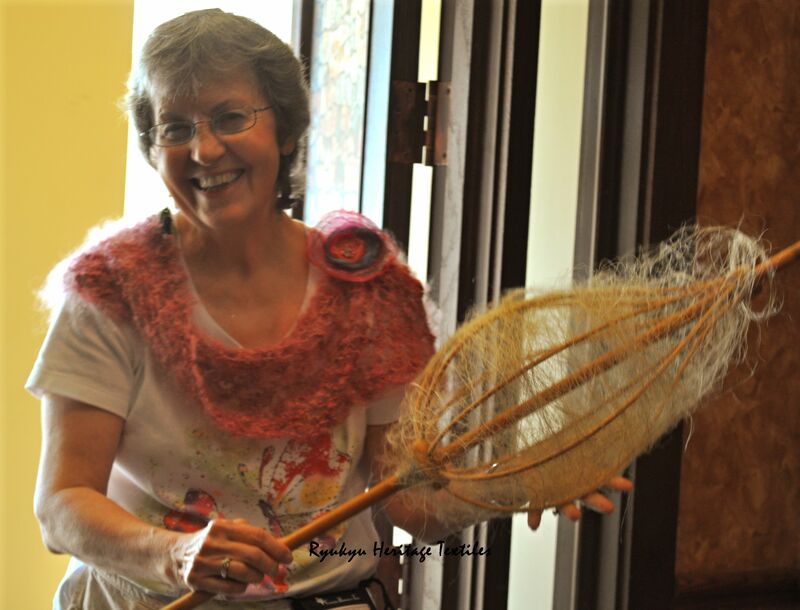 At the Conference, i participated in a 2 day bast and luxury fiber spinning class…Flax, Hemp, Ramie, Bamboo….and, ooohhh so lovely, Tussah Silk. Our instructor was Patsy Zawistoski. Patsy is a master handspinner in the United States. I am a 4th generation Ryukyu handspinner and weaver, and i am working to carry-on my family handspinning and weaving heritage. The native fibers of the Ryukyu Islands include Ito Basho, Hemp, Ramie, Bamboo and Silk. Therefore, the offering of Patsy’s class was serendipitous, indeed. The two fibers, however, have their differences too. For example, Ito Basho threads are hand-tied first, then lightly handspun on a bamboo Basho spinning wheel. The soft twist from the spinning strengthens the thread for weaving. 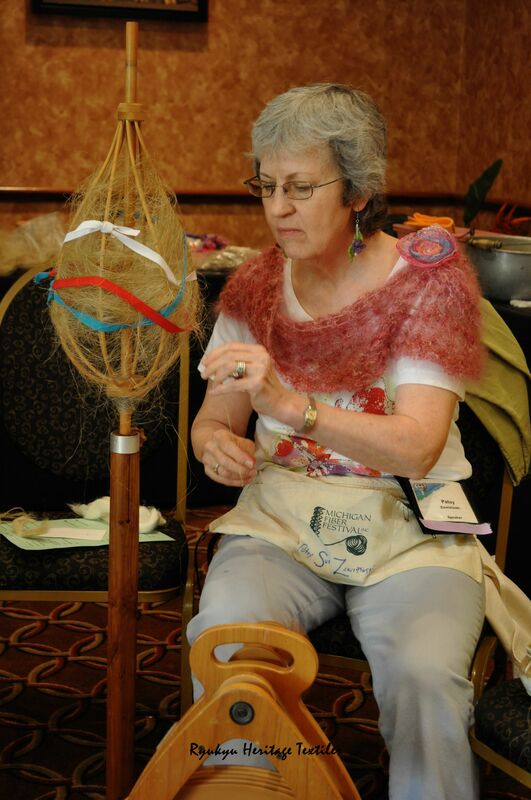 Flax threads, on the other hand, are spun together from a distaff using a European style spinning wheel. 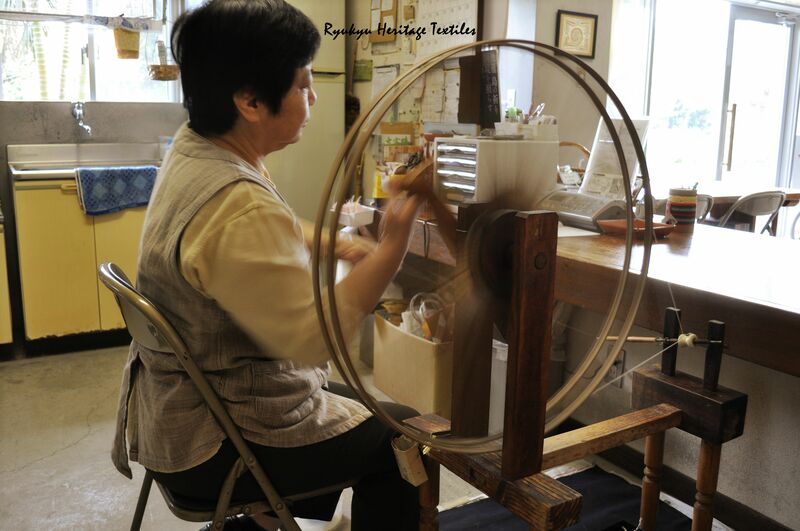 Hence, the threads are joined together during the spinning process. 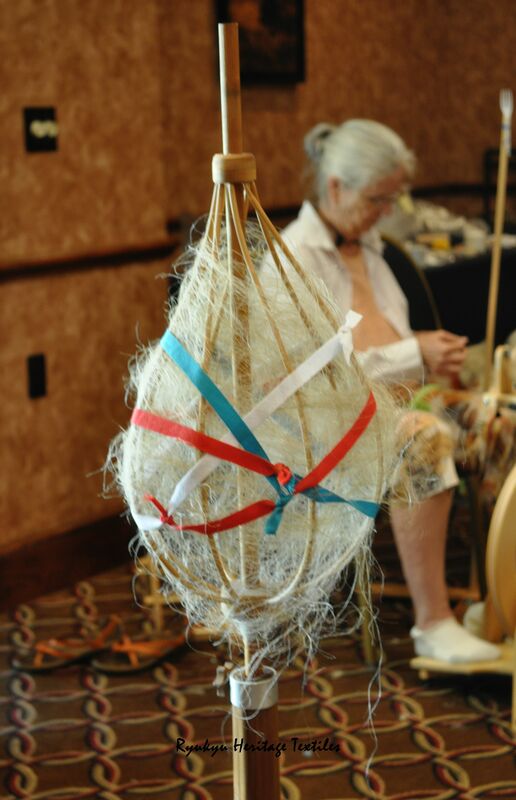 What a delight it is to have learned spinning techniques that i may now apply to the fibers of my cultural heritage! Cheers to master handspinner Patsy and CHT!